Whilst all eyes were focussed on the movers and the shakers in town for the recent Milan Fashion Week 2014, Luxuria took to the streets to see what’s hot on the road in Milan this autumn. First up is the new Range Rover Sport; unarguably one of the best SUVs on the road right now and a stylish and sophisticated SUV that offers luxurious comfort and outstanding off-road ability. 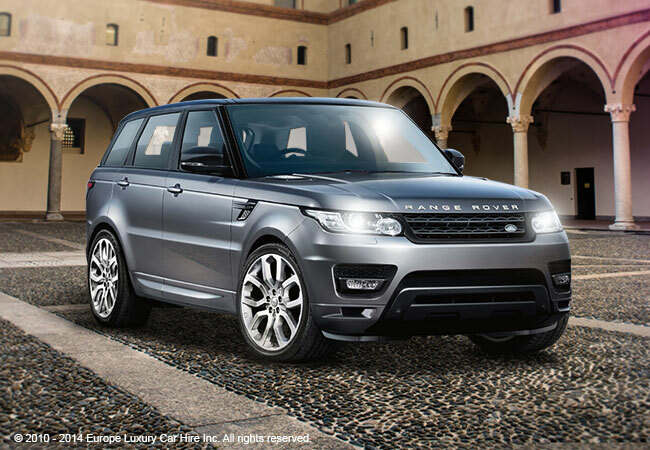 The Range Rover Sport strikes a sleek and handsome pose on the tarmac, with strong muscular bodylines and a new lightweight steel monocoque to replace its old weightier steel chassis. And it doesn’t just look good; the Range Rover Sport Terrain Response delivers an excellent performance, Adaptive Dynamics give perfect balance and the Four Corner Electronic Air Suspension delivers superb handling both on and off road. Also demanding attention is the Mercedes Benz GL500; an impressive luxury seven-seater off-roader that is in a class of its own. With a V6 diesel or V8 engine powering this mighty machine, a responsive seven-speed transmission and excellent suspension, it offers a cracking drive and exceptional comfort for all passengers. Mercedes have proved that big can be beautiful with the Mercedes Benz GL500. Not straying too far away from its birthplace in Maranello, the Ferrari 458 Spider is one of the classic sights of Milan and posing behind the wheel of this awesome hardtop convertible is one way to get noticed. This mid-engine V8 supercar with seven-speed semi automatic transmission is fast and flexible and rewards drivers with superb handling on the road. Whether roaring down Milan’s fashionable Via Monte Napoleone or attracting attention on sidewalk, the Ferrari 458 is a stunning specimen to behold. One of the old style favourites seen gliding through the streets of Milan city centre is the Rolls-Royce Drophead. This huge vehicle is powered by a mighty 6.8 litre V12 engine and 8-speed gearbox and its air suspension ensures an unbelievably comfortable ride. Handsome with the roof up or down and fitted with elegant rear-opening doors that allow passengers to step out onto the street with grace, the Rolls-Royce Drophead is the ideal luxury car about town. Enjoy the autumn sunshine with the latest flashy accessory to a luxurious Milan weekend city break; the Ferrari California, in particular the new Ferrari California T. A turbo-charged open-top GT that boasts a combination of extreme power, superb ability and dashing good looks, the Ferrari California T comes with a 3.9-litre V8 engine that produces 560 hp and 557 lb-feet of torque, enabling this car can sprint from 0-62mph in just 3.6 seconds. Last but not least is the Porsche Cayenne, a sporty SUV that is perfectly refined and performs brilliantly. More athletic than it looks, the Porsche Cayenne drives like a sports car, reaching 62mph in less than six seconds and travelling to a top speed of 173 mph, whilst pampering you and four passengers in the luxurious comfort of its spacious cabin. With an impressive luggage capacity of 670 litres, the Porsche Cayenne is the ideal luxury choice for your Milan vacation. 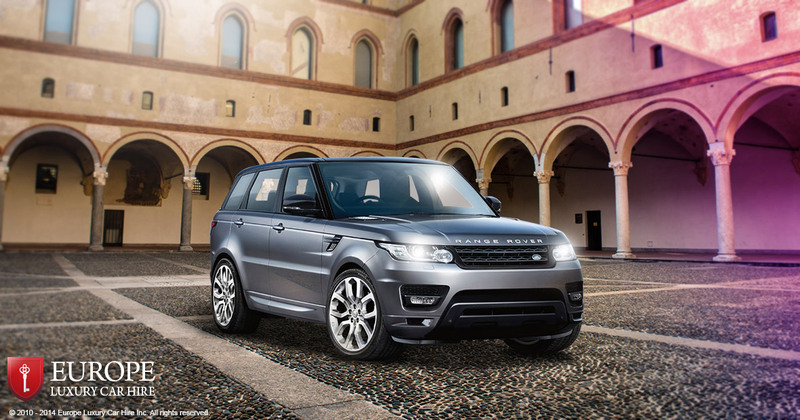 "Six of the Best Luxury Cars in Milan this Season" was sponsored by B.Spoke Magazine.